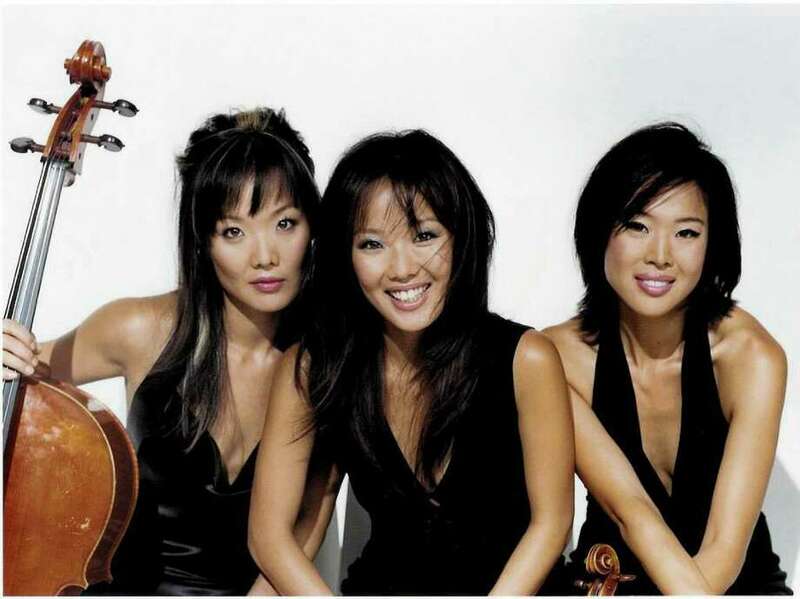 The Ahn Trio, comprised of sisters Maria on cello, Lucia on piano and Angella on violin, will perform Dec. 4 at the Quick Center. Fairfield University will present the Ahn Trio as part of the "Classical Impressions" series of the school's 2011-12 Arts & Minds season 3 p.m. Sunday, Dec. 4, at the Regina A. Quick Center for the Arts, 1073 N. Benson Road. The Ahn sisters -- pianist Lucia, violinist Angella and cellist Maria -- were born in Seoul, and educated at the Juilliard School in New York City, according to a release from the university. Well-known composers have written works for them and the trio's latest CD, "Lullaby for My Favorite Insomniac" released by Sony spent 26 weeks on Billboard's Classical Album charts, climbing to No. 8, the release states. In October, they were invited to perform in Washington, D.C., at a White House state dinner for the Presidents and First Ladies of the United States and South Korea. The trio has performed in all 50 states and in over 30 countries and recorded six albums and holds master classes and workshops around the world. The trio, having made its magazine debut with Time magazine's cover story "Asian American Whiz Kids," has been photographed by fashion magazines Vogue and GQ and have been featured in ad campaigns for Gap, Anne Klein and Bodyshop, among others. The sisters have also been named three of People Magazine's 50 Most Beautiful People and recently made a one-page appearance in Glamour Magazine, the release states.